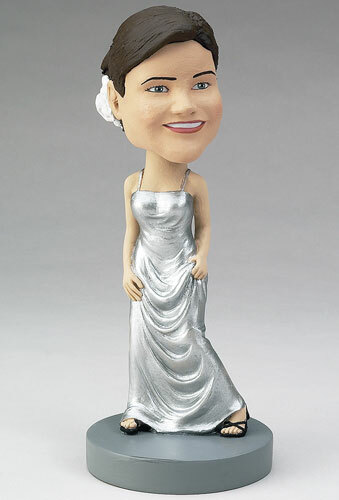 Give this personalized bobblehead to your loved one on her special occasion, whether it be a quinceañera, prom, or dinner party. Customize the dress and add jewelry to look just like her outfit for the event. She will remember the wonderful evening forever with a custom bobblehead.